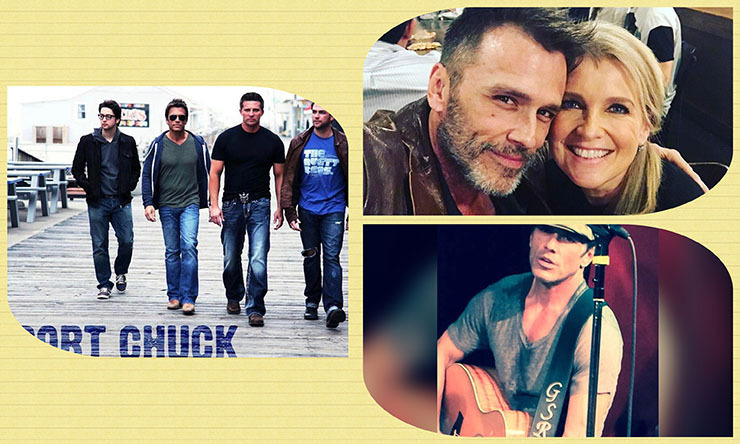 We at Soap Cities are happy to report that former General Hospital and The Young and the Restless star Scott Reeves is on the mend from his recent heart scare that ended up in a trip to the ER before he and pal Steve Burton were taking off to LA for a Port Chuck gig. Earlier, Burton said that Reeves is doing OK. The actor’s doctors intended to do more tests, which Burton said he’ll keep fans updated on. He had asked for continued prayers for Reeves. See the second post below, which has gotten almost 2K likes, hundreds of comments and dozens of shares on Facebook. Reeves and band mate Steve Burton (ex-Jason Morgan) met up in advance of an appearance by the band they are both in with fellow GH alums, Port Chuck. Burton took to Twitter yesterday to let fans know that Reeves (ex-Steve Webber) looked uncomfortable and said he was experiencing pain below his sternum. Burton insisted his friend go to the emergency room right then. See Buron’s full Twitter video below. The Port Chuck engagement was postponed. We at Soap Cities second that and continue to offer our support, positive vibes, and healing prayers to Scott Reeves and his family. Reeves is married to Days of Our Lives star Melissa Reeves. They have two children, Emily and Lawrence. They live in Franklin, Tennessee. GH star Tonja Walker (Liv Jerome), while unsure of the exact nature of Reeves’ condition, offered his family good wishes on Facebook. As we know, Burton confirmed Reeves’ condition, and fans then updated Walker on her Facebook page. Scroll down for her Facebook post. GH star Tonja Walker while wasn’t sure of Reeves’ condition was wishing his family good wishes. As we know, Burton confirmed Reeves’ condition and fans updated Walker on her Facebook page.